Want to modernize your office space or open a new store? You are in need of trendy and up-market commercial cabinetry. Kustom Interiors are the team for you. With the combination of first class workmanship and high quality materials always used. Kustom Interiors will create durable and great looking furniture and cabinets that will last for years to come. 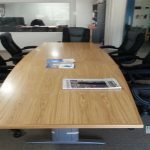 As experienced commercial cabinet makers in Perth we will add value to your commercial space. Delivering customised solutions meeting all of your needs and budget. 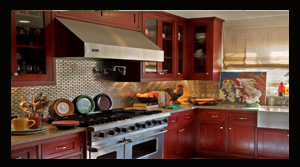 Kustom Interiors are established as leaders in commercial cabinetry, with over 26 years experience. 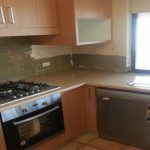 At the same time we are constantly innovating new ideas in the design and construction of commercial cabinets in Perth. We have commercial clients across Perth and surrounding areas including Australia Post, Terry White Pharmacy, Friendlies Chemist and Hurley Star city Surf Store and Jesters. With this in mind our clients and peers recognise us as trend setters in custom built cabinets for commercial application. 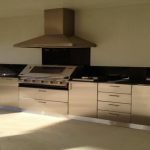 In addition, the qualified team at Kustom Interiors individually design your cabinets specifying the very best quality materials and components to suit your budget. Always dealing with professionalism, time and care with each and every client. Equally important, Kustom Interiors maintains strict quality control of all cabinet work in their factory to give the best installation of manufactured items. 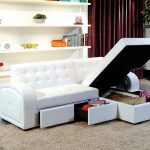 First thing to remember is at Kustom Interiors, we will always provide superior customer service. For experience, reliability and a first-class finish, contact Kustom Interiors for your next commercial project.